Having a dog in your life is already fun as it is. Dogs are very compassionate and caring, plus they make great companions; no matter how bad your day is, you will always find a reason to smile in your dog. I know I always smile whenever I see Diesel wagging his tail, no matter how badly my day went. Even so, there is a long list of great things you can do together with your dog. Here are some more fun activities you can try if you want to bond with your dog more. Dogs generally love riding in a car, which means they are also great travel companions. If you need a break from the hustle and bustle of the city, taking your dog on a hiking trip is the perfect thing to try. The ride to the nearby park or hiking trail will be fun, while the hike itself can quickly turn into an adventure the two of you can enjoy together. Traveling with dogs requires a bit more planning though. For starters, you need to check with the local authority regarding whether pets are allowed in the area. You also need to make sure that your dog is fit enough for the hike. Lastly, make sure you prepare and bring your dog’s travel essentials for the trip. Another great thing to try is agility, an exciting dog sport that involves both the human and the dog. You basically guide your dog through a series of obstacles within a certain amount of time. It is a great training for the dog since agility helps develop confidence, release energy, and train your dog’s ability to focus. At the same time, you also learn to connect better with your dog. Agility is done either as a competitive thing or for fun. Some dog parks have obstacles such as tunnels, balance beams, and hurdles for those who want to try agility with their dogs. Training your dog to master new tricks is both fun and challenging. Certain proven methods like clicker training and positive reinforcement make the process more manageable. However, you still need to spend enough time practicing and maintaining consistency before the dog can fully master the trick. Trick training is a great activity for improving your relationship with the dog. It is also a great therapy for dogs with behavioral problems. Besides, it’s more fun to show off the tricks your dog has mastered to others. We all know that dogs need to release their stored energy regularly; this is one of the reasons why we take them for a walk. Playing fetch is a great alternative to walking. You can use a Frisbee, a ball, or even a stick to play the game. 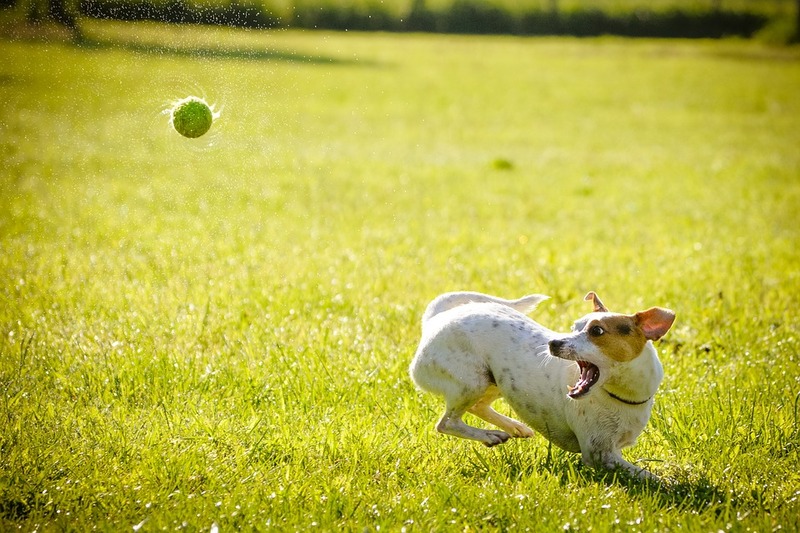 What’s important is enjoying the experience and letting your dog have fun while releasing energy too. Fetch is a game that may require practice. In fact, almost all activities we covered in this article require a bit of practice. Take your time and enjoy these fun activities, however, and you will have an even better relationship with your dog.